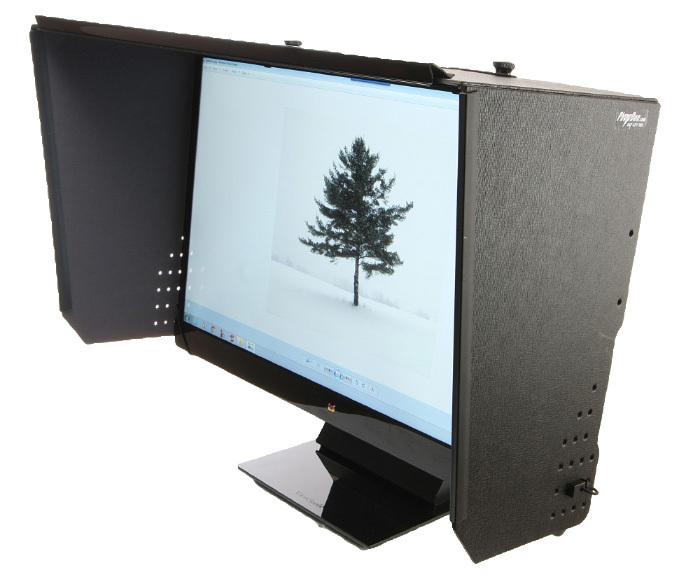 Photodon provides Monitor Hoods to help reduce glare from overhead and window lighting, relieve eye fatigue, and promote privacy. Slim (6-inch depth), dual hoods for dual monitors, and calibration doors. Questions or concerns? Take a moment to review the resources below or contact us.